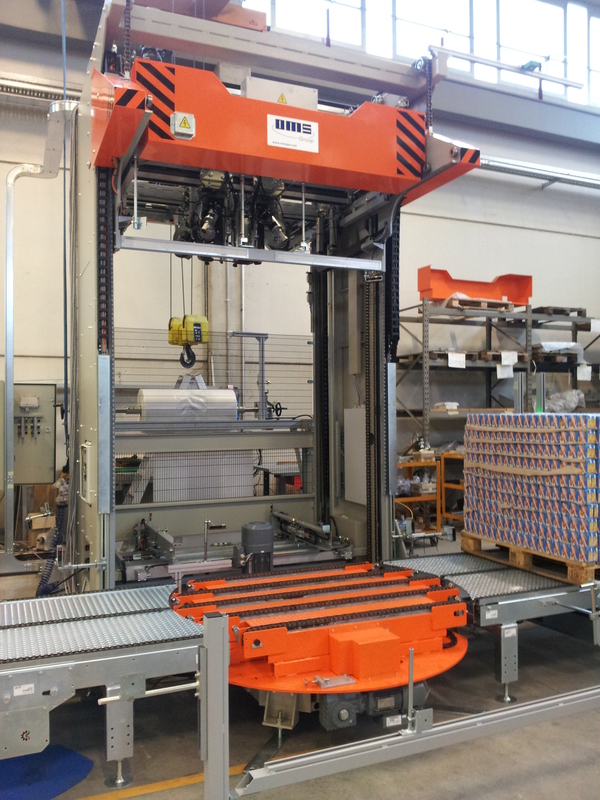 The Stretch Hooding Machine model IS 43 has been designed to package palletised products using tubular stretch-film. The stretch hooding technique uses a film hood which have smaller circumference, WITHOUT THE USE OF HEAT; the stretching and the shrinkage strength of the film assure the best stability of the packaged products. 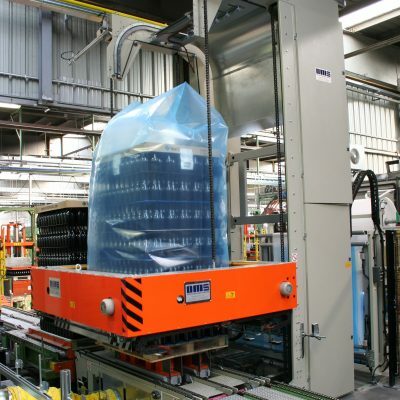 The hoods are prepared in the rear part of the machine, while the hooding of the product is performed in the front zone. The hood, duly opened, is laid down on the package by a descending frame up to the base of the product. 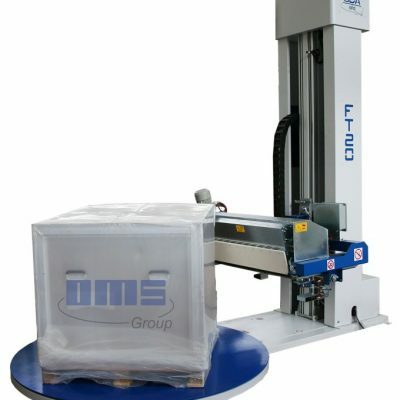 The mechanical clamping system, moves vertically the bag on the upper part of the arch; the film is gathered on four special devices, then stretched to fit the dimensions of the product to be packaged. 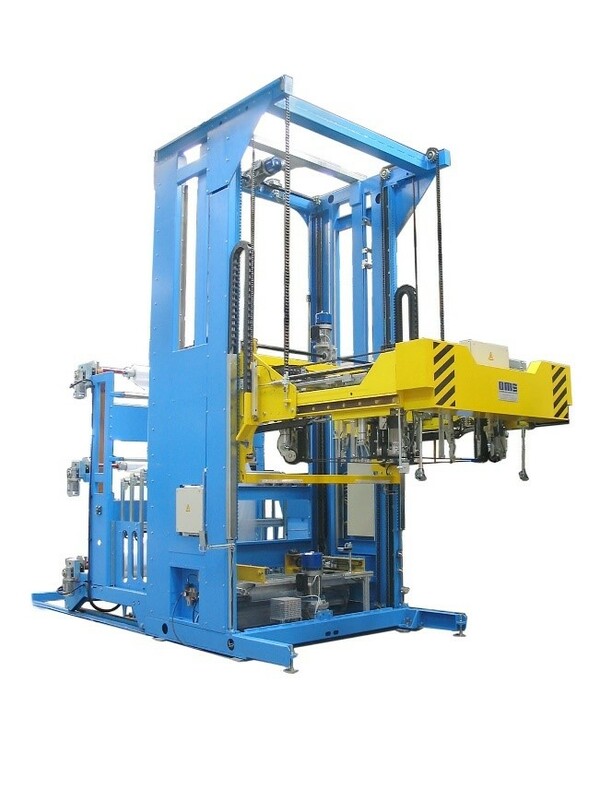 Peculiarity of this packaging system is the final result: the welding ends of the hood are on the inner side, thus assuring a flat surface of the upper side and therefore an EXCELLENT STABILITY OF THE LOAD. The IS 43 has a simple and modular structure, that allows easy maintenance operations. 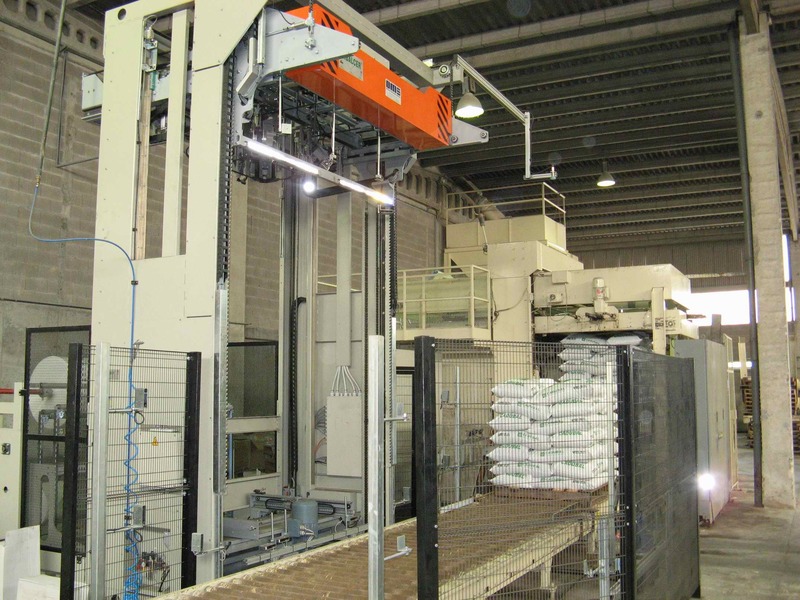 The machine can be installed on any type of existing conveyors WITHOUT ANY MODIFICATION. 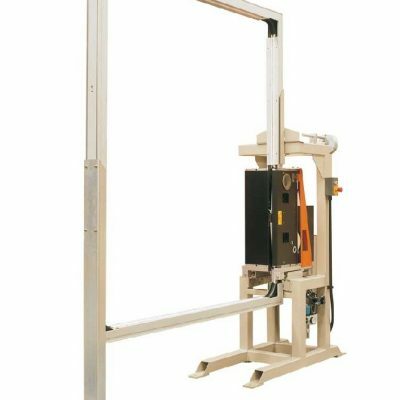 All the zones of the machine that require maintenance, can be easily reached by the operator without the use of ladders and/or platforms. The mobile coil holder and film guide allow a VERY SIMPLE AND FAST replacement of the film coils. 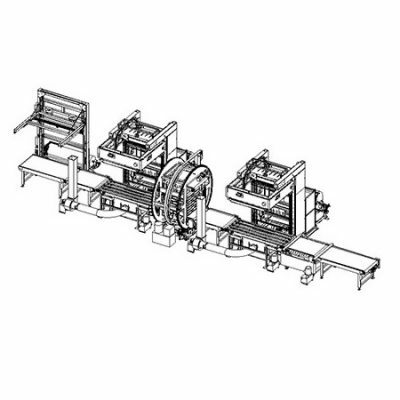 the machine can use up to three different film coils. 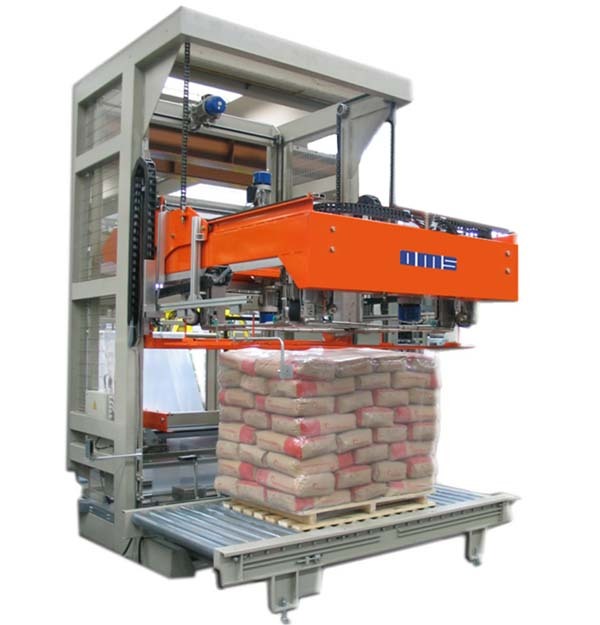 This allows the automatic packaging of loads having different sizes. STABILITY OF THE PACKAGE: the packaging with stretch film is very strong, and assures stability and compactness also unstable packages. RESPECT FOR ENVIRONMENT: low consumption of material, no emissions in the atmosphere. SAVING THE PRODUCTS: the water-proof, dust-proof hood protects the products against the bad weather and thefts. PRINTABILITY: the stretch-hood technique allows to print the external side of the hood.